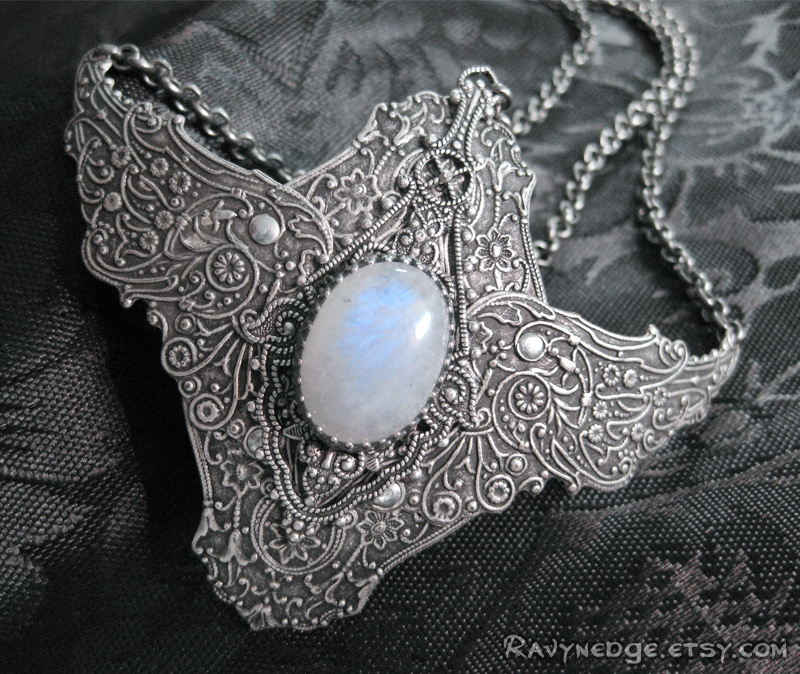 Elven Enchantment Headdress - Moonstone and Silver Filigree Circlet by RavynEdge. 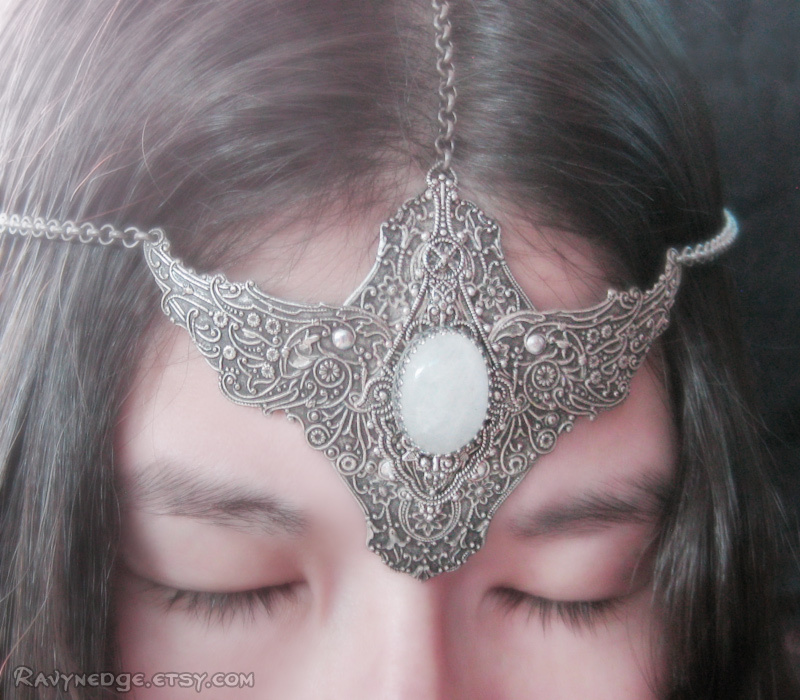 Feel like an elven princess when you wear this stunning hair accessory. Perfect for a unique fantasy wedding. 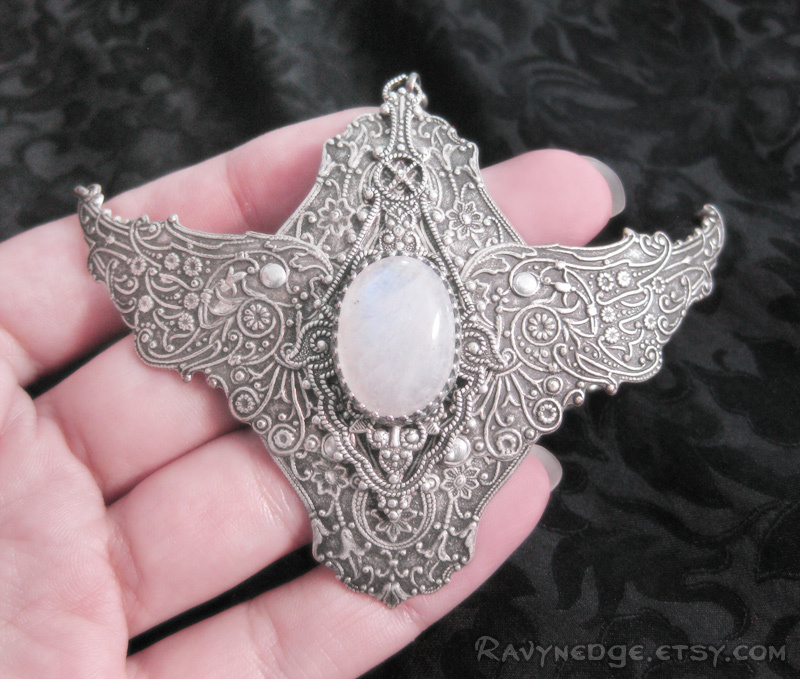 A beautiful rainbow moonstone is set in ornately embossed sterling silver plated brass stampings. 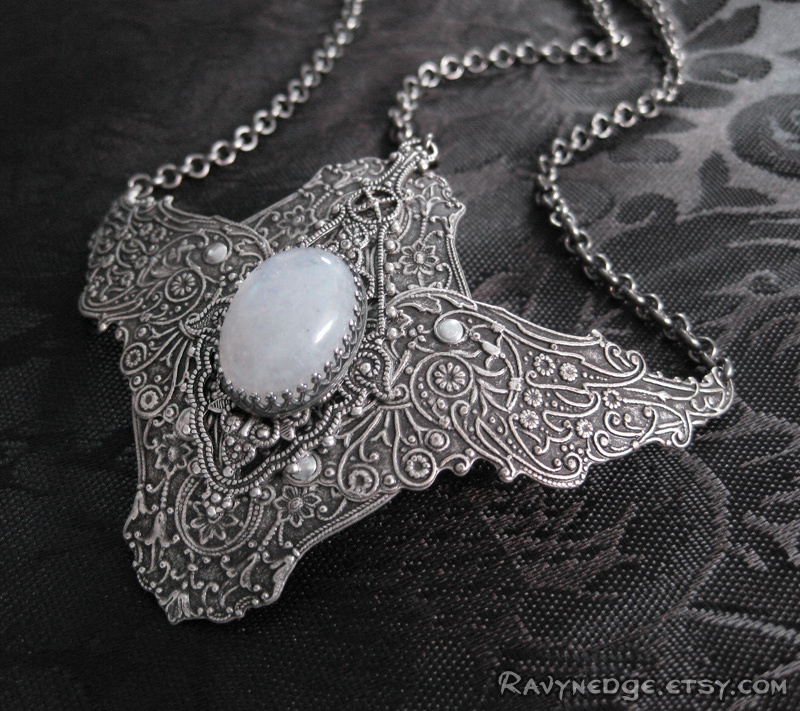 Catch the blue flash of the moonstone when the light hits it just right. The size is adjustable from 20 to 23.75 inches (51 to 60cm). Closes in the back with a lobster clasp. 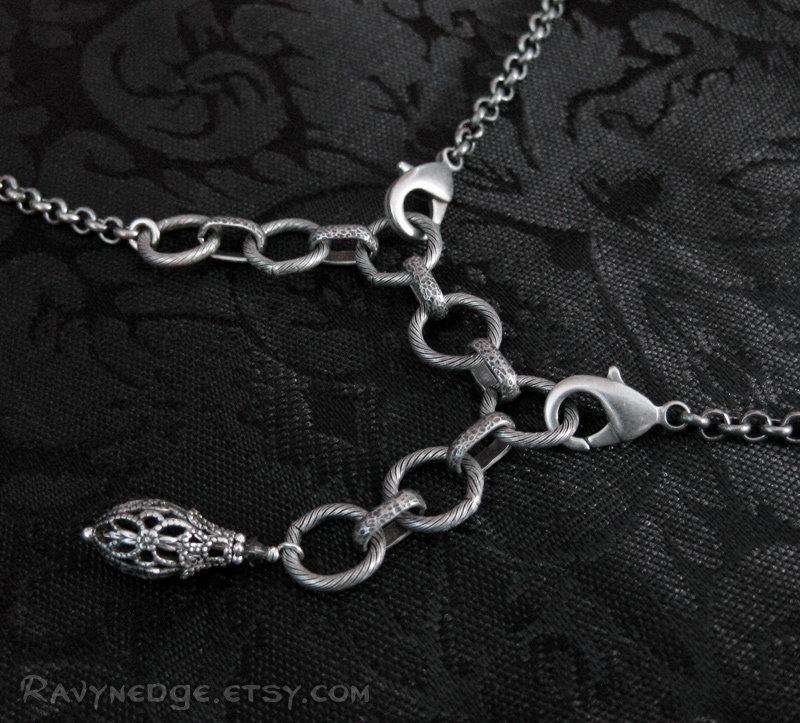 The chain over the top of the head also has a lobster clasp so it can be adjusted to the center. Moonstone is considered a stone of good fortune and success in love. Helps to soothe and balance emotions. Enhances intuition, perception, and judgment. Assists in bringing out and being comfortable with one's feminine side. Also known as a traveler's stone and used for protection on air, land, and water.